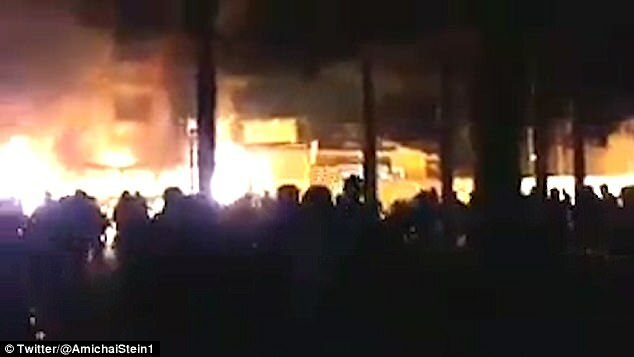 At least 12 people have been killed and multiple others wounded during a fourth night of unrest in Iran. Iranian state TV reported the figure Monday, saying security forces repelled ‘armed protesters’ who tried to take over police stations and military bases. Two people were shot dead in the southwestern town of Izeh while another two died in Dorud after being run over by a stolen fire truck, local news agencies reported. Elsewhere there were unconfirmed reports that three people were shot dead after security forces opened fire on protesters in Isfahan.